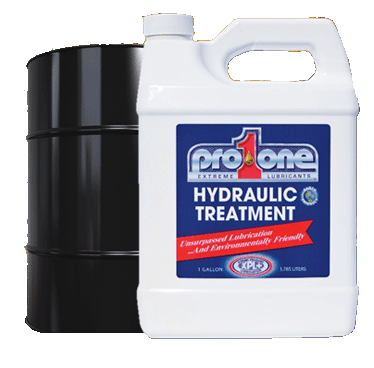 With advanced XPL+ (Xtreme Pressure Lubrication) technology, ProOne Hydraulic Treatment provides superior performance, especially at points of extreme pressure, to help keep hydraulic systems running at peak efficiency, which means less down time and lower operating costs. - Lowers friction and operating temperatures. - Reduces electrolysis up to 94%. - Prevents oxidation and corrosion. - Helps extend equipment life. 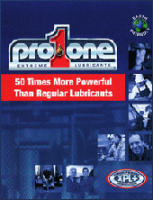 - Compatible with petroleum and synthetics. - Helps protect and condition seals. - Optimum run times…less down time. - Reduces heavy line pulsing. 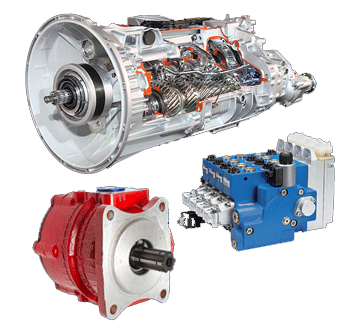 - Refineries and oil field equipment. - Paper and pulp mills. - Mining and smelter equipment.